Did you know that a 1,200 mile-long trail winds its way past unique glacial features all throughout Wisconsin? The Ice Age Trekking discussion guide will guide you along the trail of discovery as you watch this Serious Science video. Additional vocabulary and discussion tips will help you “solidify” your understanding of geology and of the huge rivers of ice that shaped this landscape. Additionally, you’ll learn tips that won’t just help you on the Ice Age Trail, but on any trail you choose to go on in this area. Whoa! 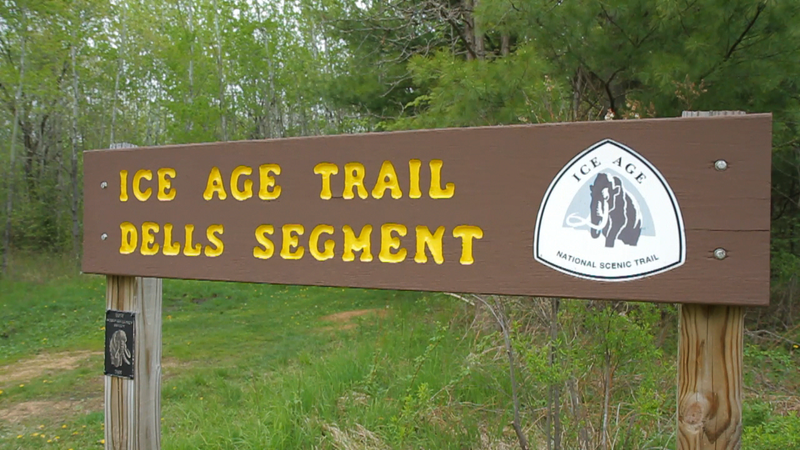 Want to apply your learning when you’re out on the Ice Age Trail? The discussion guide gives you the tools you need to make that happen. That way, you won’t run into any…potholes. 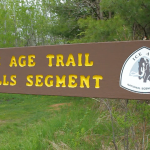 What do you need to know before hiking the Ice Age Trail? Discover the answers by watching this Serious Science video and reading the information below. And to take this learning adventure into your classroom, have your teacher download the free Lesson Activity at the bottom of this page so everyone can share in the fun of this inquiry based learning. Okay, so you know that exploring science of nature often involves outdoor field expeditions to discover the science firsthand. When you hike across landscapes that have been glaciated like much of the Midwest we call that Ice Age Trekking…it’s hiking over stuff that was left by the last Ice Age. For instance, take Wisconsin’s ice age mysteries along the Ice Age Trail. Though we can learn a lot from books and websites, nothing gives us a true sense of ice age features like exploring them on the ground. Plus, field expeditions offer the opportunity to also explore the ecosystems and biodiversity of an area. So how do we plan a field expedition along the Ice Age Trail so that it’s safe and educational? 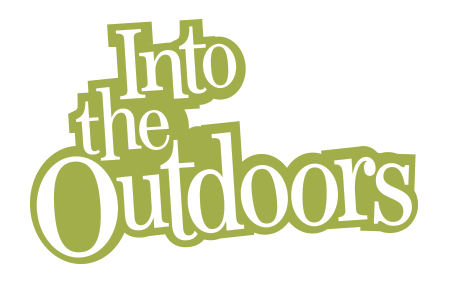 To learn how, watch this video as you join some of our ITO adventure team trekking parts of the Ice Age Trail. We’ve also got a classroom Lesson Guide here to test this skills of your classmates to see if they’d make good companions on the trail of discovery. Let’s begin with a plan. First you need to pick a section of the trail to explore using the Internet or a printed Trail Guide. Plan it with the help of a parent or friend to be sure the trip is safe and a reasonable distance. 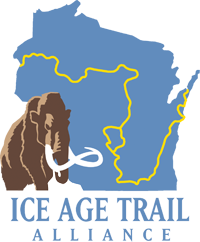 You can download and print a map of your section from the Ice Age Trail website. Think about it… Christopher Columbus didn’t sail to the new world without a plan and a map for success. And you should map out your plan for successfully exploring the Ice Age Trail. So create a written “journal” of things to do in preparation, and so that you can record what you discover during your trek. Because the Ice Age Trail crosses so much private property, respecting trail landowners should be part of your plan. Add these points to your trip list wherever you trek. Don’t mistreat the land along the trail. Only camp in areas open to primitive camping. Check your Ice Age Trail Atlas for this one. Once you’ve selected the where and when of your trail trek, check off your list for staying safe on your adventure. One of your trekking partners should be a parent or approved adult. Before departing, leave a copy of your planned trek times and location, and your cell phone information with at least two adults. Carry a cell phone and bring a map to know where you are and where you’re going. Also, check weather conditions to know what to expect during your trip. Pack the right amount of clothing, food and water to match the conditions and distance of your trip. No matter what the forecast, it’s always smart to pack rain gear. Even if it doesn’t rain, it can help break the wind and keep you warm. Expert trail trekkers also recommend wearing hiking boots with good ankle support and long pants to ward off bugs and brambles. A fanny pack or daypack will work for packing the supplies for your day hike. Besides packing safety gear, use safety sense, such as not hiking the trail during hunting seasons, bad weather, or extreme cold. If it’s sunny, dress or sunscreen to avoid sunburn. Some people like to hike with their dog. First, make sure your section of the trail permits dogs. Pack animals are not permitted on the Ice Age trail. If you take your dog, it’s best kept on a leash. And be responsible to carry out or bury its waste. Help preserve the natural beauty of the Ice Age Trail for everyone to enjoy – only leave your footprints. Carry out what you carried in, including all food and garbage. Despite the temptation, don’t disturb nature along the trail, including flowers, creatures, or bark from trees. Also, don’t disturb or take artifacts or historical structures. Respect other hikers by keeping disturbances to a minimum and letting them enjoy nature. Finally, take time to record with your camera and in your journal some of the plants and wildlife you observed on your trek. Share your pictures or journal note about the discoveries you made about the ice age features that you encountered while trekking the Ice Age Trail. • The Ice Age Trail began in the 1950s as the dream of Milwaukeean Ray Zillmer, who had a vision of a long, linear park winding through Wisconsin along the glacier's terminal moraine. Way to go Ray! • Sandstone rock outcrops of Green, Rock, Dane, Columbia, Sauk and Adams counties are between 460 million and 550 million years old. • Rock outcrops at Grandfather Falls, Lincoln County, and Eau Claire Dells (mylonite), Marathon County are 1.8 billion years old. That's older than most dirt!